We saw the trailer for Expendables 3 during Guardians of the Galaxy. I know what Expendables 4 needs. 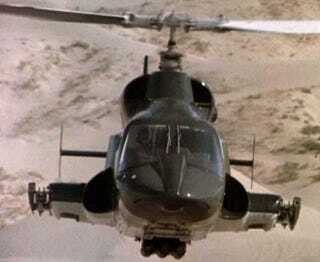 Airwolf! They come across it sitting in a hangar. Dusty and under a tarp. Jan Micheal Vincent gives Stallone the squinty eye when asked if the old bird will fly. Queue the music and the turbine whine.